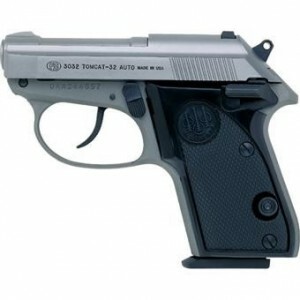 »Guns and Ammo»Small Concealed Carry – the Bobcat 21, .22. UPDATED REVIEW, Oct. 1, 2012 – now negative. See here. We had a little trouble with the ease of the safety switch on the initial batch of Bobcats, and Jeff had to send them back, but the next round, especially the Inox finish (stainless look pictured above) was the smoothest of them all. It is a little more expensive, but may be worth it for those who like that smart look. I have had the same problems with jamming and failure to feed as well as failure to extract spent casings. The problems persist even when using the recommended brands of ammunition. Problem not as bad when loading only 6 in the magazine and one in the chamber. That leaves me totally disappointed and unsure about using the Bobcat as a pocket protection weapon.